Mounted as a pop-up event designed by artist and arts educator Noorlinah Mohamed, KidsConnect partners with Playeum: Children’s Centre for Creativity in 2019. 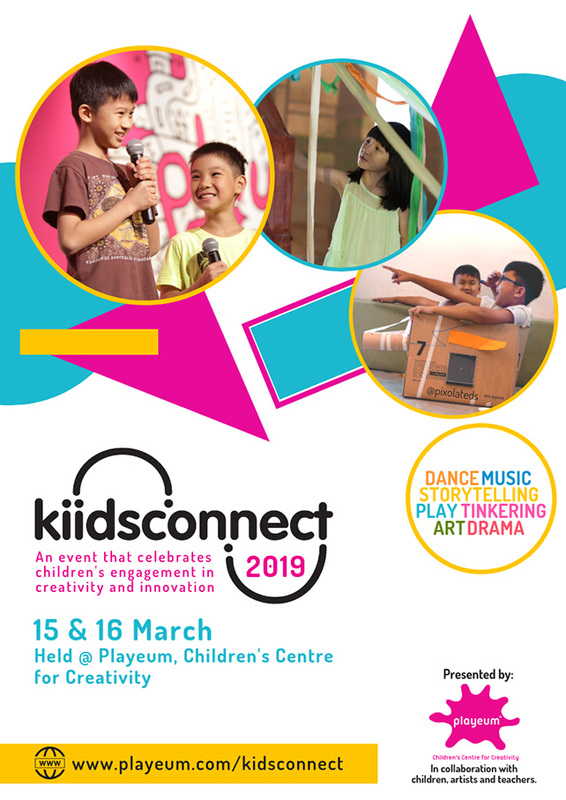 Aligned with Playeum’s focus on children’s voice and play as the centre of young people’s development, KidsConnect returns with a larger line-up of performances and activities. Spread over 2 days on 15 and 16 March, KidsConnect features various events scheduled throughout the day from 10:30am – 6:00pm with young people hosting, facilitating and performing. They rule the day with – drama and dance performances, – storytelling and roving buskers, – booths marketing their original hand-made wares, – a rock concert, – plus specially designed interactive play world facilitated by young people for young people.